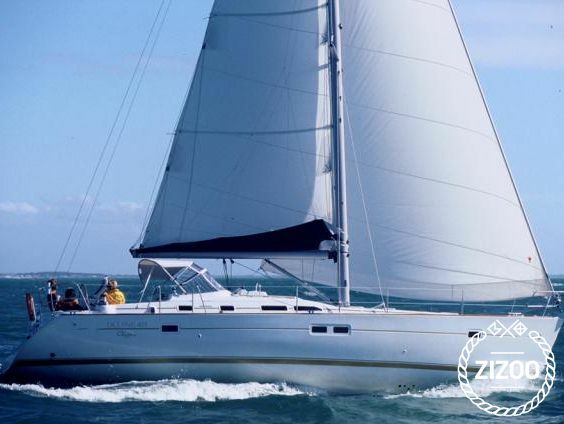 Another Beneteau in this charter's fleet, Garbina is a 2005 Oceanis Clipper 423, well looked after by her team. You will be too, so get a great crew of up to 10 people, whether it's family or a group of mates - you're in for some fun times at sea! This gorgeous girl is an experienced sailor who knows her waters like the back of her hand. She will show you all those amazing places that make the Adriatic coast so special. Starting from Sibenik, a centuries old town of fascinating history and even more fascinating architecture, you can visit Krka National Park - just sail up to Skradin and spend a few hours swimming at the bottom of the river's picturesque waterfalls. Another national park is right across - Kornati Islands, a place that will give you a realistic image of what sailing was like back in the day. Enjoy the sun, sea, wind and silence, it is all you will need!